I love taking pictures of flowers for inspiration in my weaving. Their soft petals and variations of color and texture and pattern always fill me with a desire to weave. 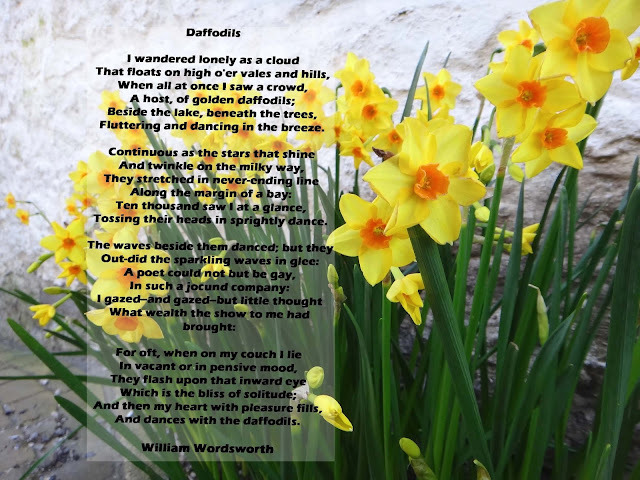 Whenever I see daffodils I think of my mother because when I was little we used to read a book of poems and one of the poems was 'Daffodil' by Wordsworth.